The B.B.C. of UK in one of its Quiz programmes had posed a question “Which is the biggest non-governmental voluntary organization in the world?” Not getting suitable answers, the quiz master himself declared that “the Rashtriya Swayamsevak Sangh, a Hindu voluntary organization working in India.” This was a few decades ago. As at present, the organization has expanded in multiple proportions and still growing. 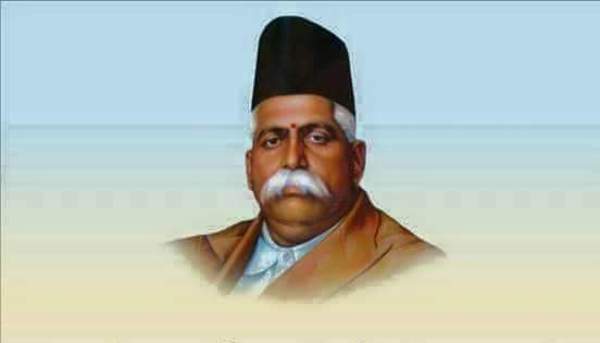 But very few outside Sangh circles know the name of the founder of this mighty R.S.S., Dr. Keshav Baliram Hedgewar. Dr. Hedgewar was a unique and extraordinary person. He was a passionate patriot, an undaunted, determined, relentless practical worker, a deep and clear thinker, a versatile organizer all rolled into one. From his boyhood he struggled to free the country from the foreign yoke, adopting every method. Very honest and earnest in all his attempts, he ultimately came to a conclusion and decided to start a non political organization to mould men of character, inculcating discipline with absolute selfless dedication and readiness to sacrifice everything for the Motherland and its people. Rashtriya Swayamsevak Sangh is the distinctive, genuine end product of the intenseTapas of such an unparalleled practical worker. Dr. Hedgewar took up this challenging task of transforming the Hindu. The timid and docile Hindu was to be made a virile, active and assertive Hindu. Dr. Hedgewar’s instrument of transformation was a simple programme of bringing together young ones of a locality for one hour at a particular place and time. This was also not an easy task. But Dr. Hedgewar’s tireless efforts of going to the homes of every person and informally having a personal talk with full of affection, his transparent sincerity and intense love for the Motherland, made every person he contacted submit and follow him and the daily ‘Shakha’ was started. Shakha begins with hoisting Bhagwa Dhwaj with salutation, then in a disciplined atmosphere some games and physical exercises, patriotic group songs and a small talk about the country ending with a prayer would give the necessary samskars for the body mind and intellect to mould every person into a Swayamsevak, keeping Dr. Hedgewar himself as the model before them. This is the simple but most effective technique that Dr. Hedgewar adopted, the main content of which was informality and intense affection. Swayamsevaks moulded in this manner formed the backbone of the organization and the chain of such swayamsevaks are responsible for the present enormous growth of the Sangh and its allied activities.